President Buhari Pledges To Restore Devastated Communities In North-East – Royal Times of Nigeria. 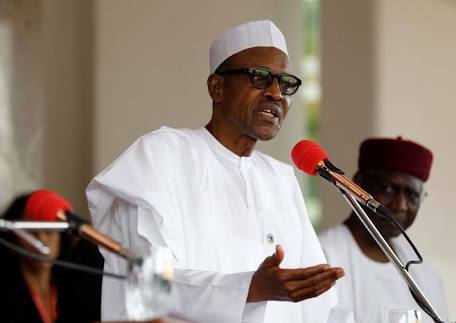 President Muhammadu Buhari has assured the Internally Displaced Persons (IDPs) in the country that his administration will leave no stone unturned in restoring their devastated communities for their immediate and safe return. He gave the assurance on Friday in Abuja in a statement by Attah Esa, the Deputy Director of Information at the State House. The President congratulated the 2,000 IDPs at the Kuchingoro Camp in the Federal Capital Territory who are getting set to return to their communities in the North-east. He spoke through his Senior Special Assistant on Media and Publicity, Mr Garba Shehu, who received the IDPs at the precincts of the Aso Rock Villa on his behalf. 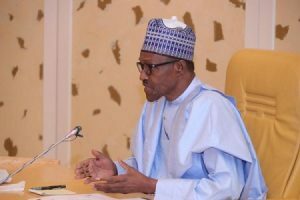 President Buhari vowed that his administration would not forget citizens in their time of distress and would continue to work for the betterment and security of the people. Responding on behalf of the displaced persons who were mainly women and children, Mrs Maryam Nuhu thanked President Buhari’s administration for the onslaught against the Boko Haram terrorists and the ongoing reconstruction of their communities.